In Team Yankee the Australian and New Zealand forces found themselves directly embroiled in the latest global conflict on fields far more foreign than they had ever expected. 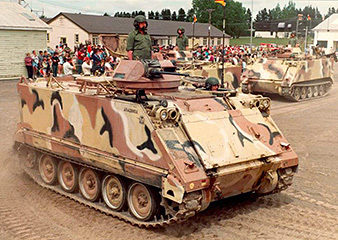 In mid 1985 the ANZAC troops were participating in exercises in West Germany when tensions started to rise. The ad-hoc ANZAC Brigade was designated to support the British 2nd Corps at Paderborn and by early August training had turned to actual combat. 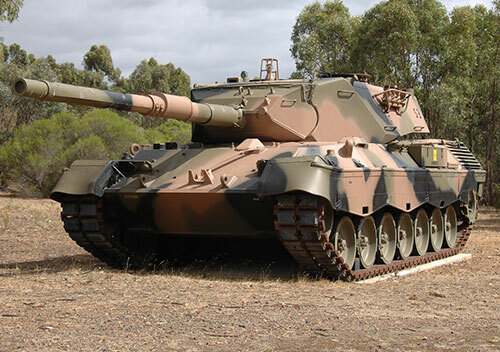 When the Australian Army received their Leopard 1 tanks they were delivered in the standard German Army Gelb Olive colour. This was an infra-red defeating paint that could not be repaired or touched up easily which caused issues for the local maintenance teams. 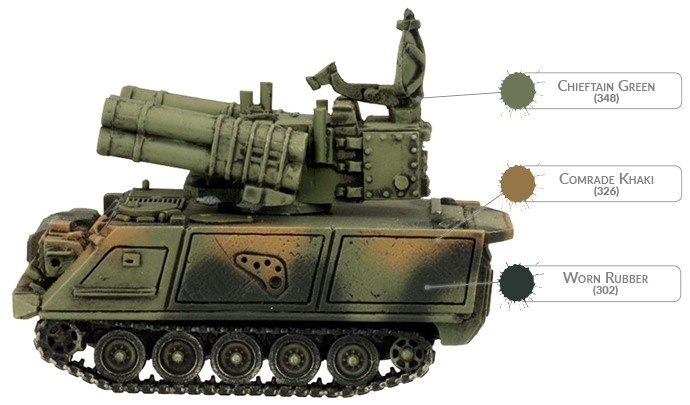 In the mid-1980s they began to be repainted in the standard Australian Olive Drab colour (Soviet Green from the Colours Of War range). 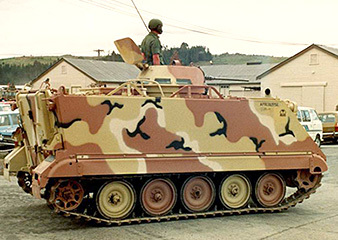 Starting in the late 1980's the army began to trial the new three colour scheme that you can see pictured above. The colours and designs were chosen to be suitable for Australian conditions and terrain which is why it might look out of place outside of Australia. 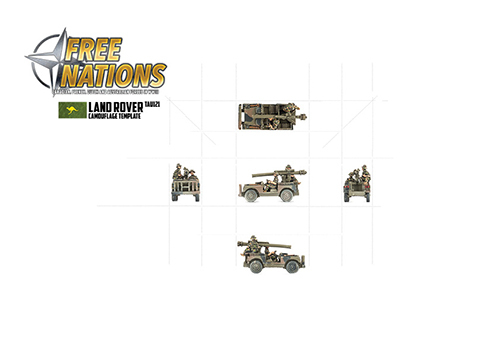 In the 1990's the army began to transition to this scheme although many vehicles stayed in the earlier Olive Drab. There are variations to the scheme so you can feel free to vary from the guides below. 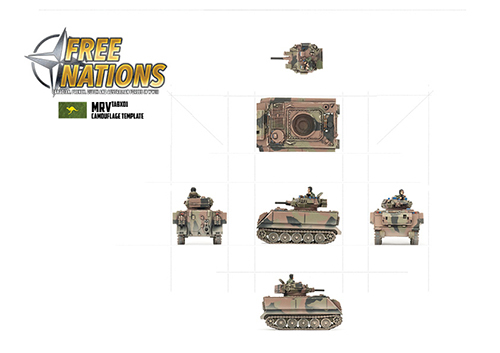 For Battlefront's Australian vehicles we chose to have the Australin Army implement their 3-colour scheme a little earlier than actual history dictates. 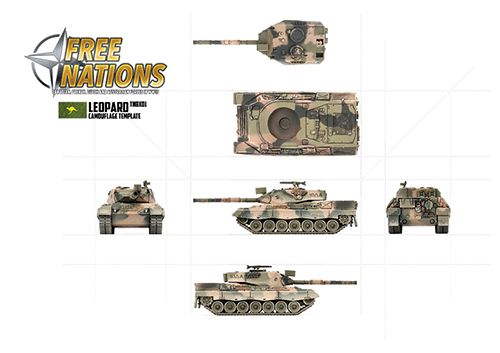 The very distinctive 3-colour scheme makes the Australian forces in Free Nations stand out from their European contemporaries and helps to give them a unique flavour all of their own. As a painting exercise you can choose to follow our example or stick with the single colour Soviet Green (351) if you so choose. 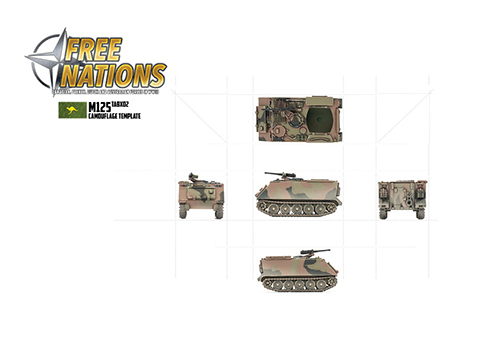 The New Zealand forces were painted using the US MERDC (Mobility Equipment Research and Development Center) scheme which set specific templates as to where and how colours should be applied to ensure an optimal camouflage of vehicles. 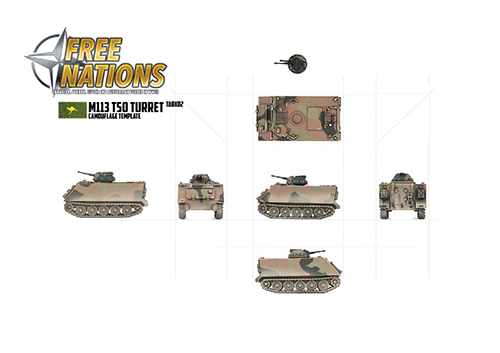 The NZDF (New Zealand Defence Force) chose the Red Desert version to suit local conditions. Red Desert is based on the following colours Earth Red (Boot Brown), Earth Yellow (Panther Yellow), Sand (Dry Dust and White 50/50 mix) and Black. You could also choose to swap Motherland Earth for Boot Brown and Sicily Yellow for Panther Yellow for a more weathered or aged look. For more information on the history of MERDC schemes and how to apply them you can visit these two articles. As you can see these will look great on the table and make the New Zealand contingent of the ANZAC Brigade stand out from the rest of the pack.